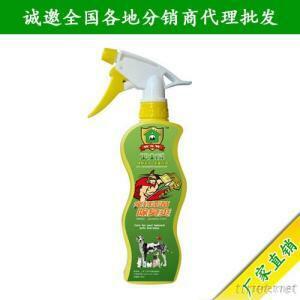 This Deodorant Spray for Pets we develope and produce, use the disinfector that extract from natural plant, used widely in western countries. Its feature includes effective in killing germ, low toxic, safe to use(LD50>5840mg/kg), high stability, no irritation to skins and mucosa, no need to wash, non-pollution, non-corrosion, kill many different kinds of germs, and you can adjust the use quantity depending on the situation. Ppm0.1--100ml/m3, long-lasting. Kills the germs, fungus in the excrement and urine quickly, degrade the amine, chlorine, hydrothion, control the stink from the base, refresh the air. Directly spray the product on the pets’ excrement or urine, or the air, it could quickly control the stink, kill germs and make the air fresh again. This can also suitable for toilet, garbage box, the effectiveness works as mentioned.